The Realyn Queen Upholstered Bedroom Set effortlessly elevates the art of traditional cottage styling. 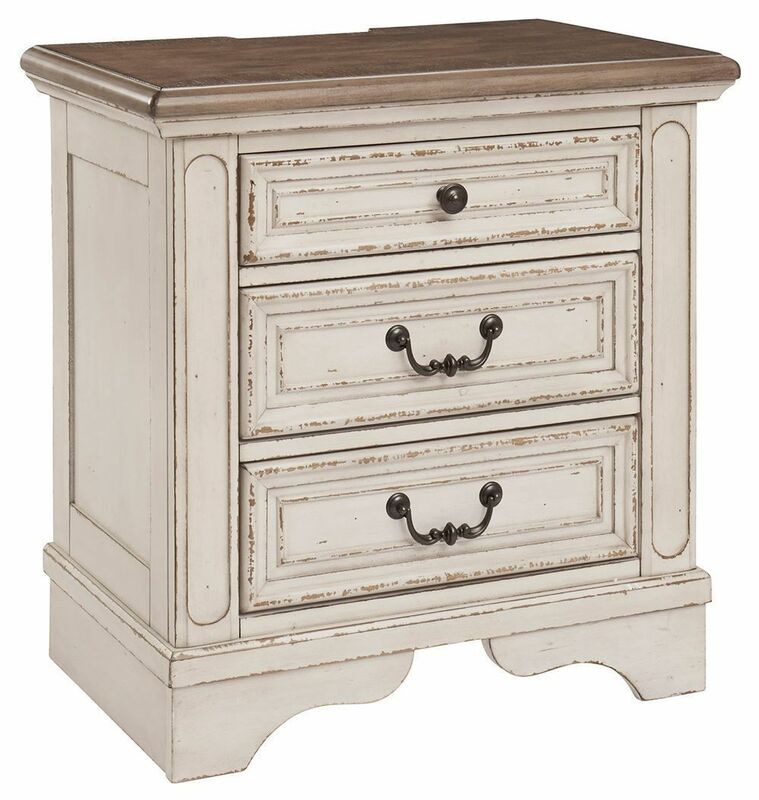 Showcasing an antiqued aesthetic, the dresser and nightstand feature a chipped white finish with a distressed wood finished top, creating a chic two-tone aesthetic. The bed set exudes a matching antique finish with an upholstered neutral-colored headboard with darling button tuft detailing. 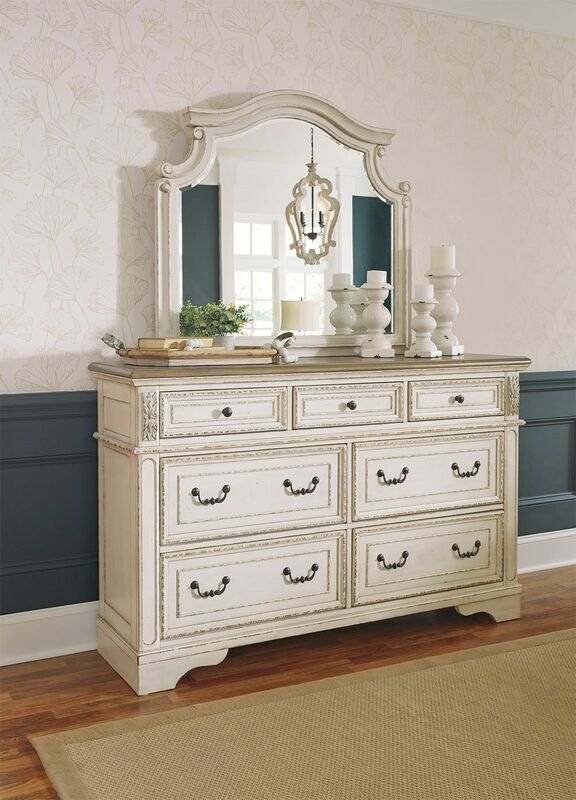 You'll adore how its ornate shape graces your master suite with classic, decorative appeal. The epitome of maximum bedroom style, this bedroom set is one to cherish for years to come. The Realyn Queen Upholstered Bedroom Set effortlessly elevates the art of traditional cottage styling. Set includes headboard, footboard, rails, dresser, mirror, and nightstand.Chest pictured is not included.